My father-in-law, one of the pioneers out Riding the Beer Trail in Oskosh, has a pretty hard and fast rule that a cocktail can’t have more than three ingredients. A bit Spartan, but I catch his point. Part of the gestalt of a great cocktail is the way a few ingredients harmonize to become something more than the individual ingredients. The cocktail resurgence of the last decade has been great (we can now find spirits and ingredients that were hard or impossible to find before like rye, créme Yvette or orange bitters). But there’s also been a downside, like birthday cake-infused vodka and, more deplorably, flavored whiskey. And with the trend for fresh ingredients, bartenders became gourmet molecular mixologists using a dizzying bevy of almost absurd syrups, infusions and esoteric bitters. The results are frequently drinks that a good, but lack that alchemical magic of a classic cocktail. 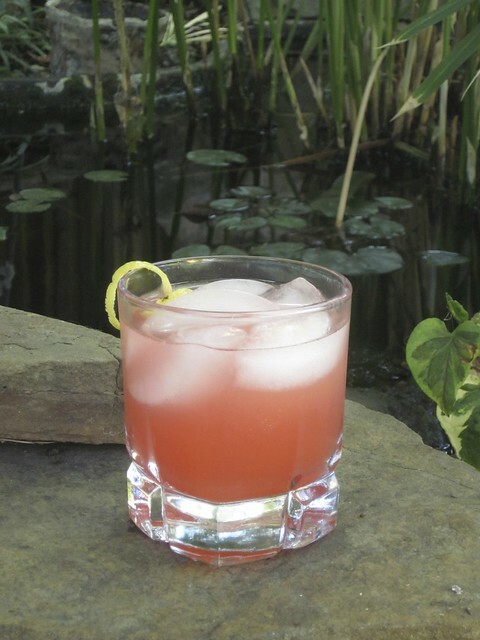 In response, the May/June 2013 issue of Imbibe magazine featured a challenge to some great bartenders to make a cocktail with only four ingredients. B & I were intrigued and decided to try them all. We were impressed. Each managed to the extremely challenging task making a cocktail that is enjoyable (a mxiture of tasty, balanced and complex), but also distinctive. With over a century of cocktail mixing, its hard to combine just a few ingredients that result in something new. If you replace the vermouth in a Negroni with Punt e mes or the Campari with Averna, it’s good, but hardly a distinctive new drink. Combine ingredients in a shaker and fill with ice cubes; shake until chilled, about 10 seconds. Fine-strain into a chilled coupe; garnish with a grapefruit twist. is great in this drink and likely required for the magic. This is one that has found a fairly regular spot in our rotation.